Colors Magazine is a magazine about the rest of the world. This design explores and reflects on its 65th issue "Freedom of Speech" while translating it to 2 other languages (aside from English): Arabic and Chinese; using an experimental layout that breaks all the rules. Since freedom of speech is often prevented, stopped or hidden, Visual ideas of pixelation and glitching that indicates something made unclear or concealed were used. This especially reflects our digital age where everything is mediated digitally. 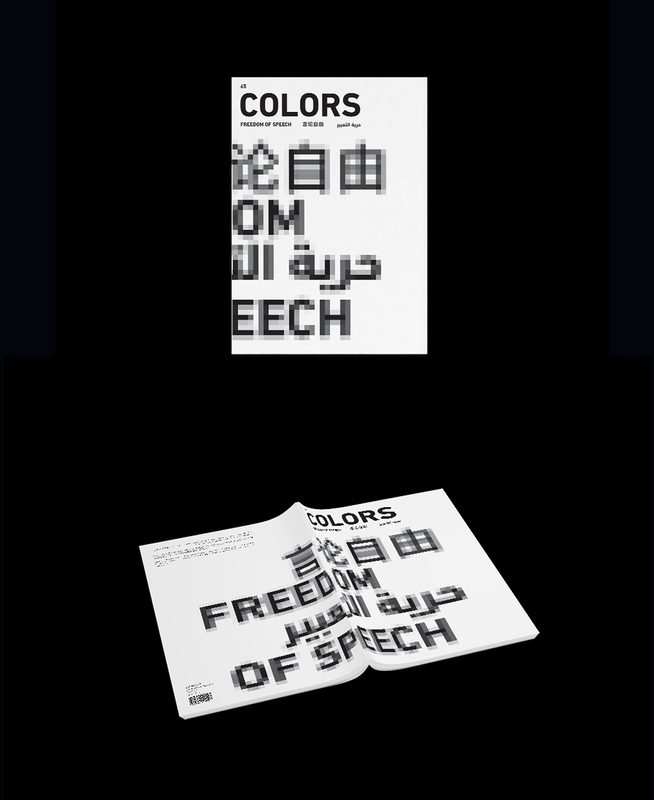 Based on this, for the cover, "freedom of speech" was written in English, Arabic and Chinese then pixelated for a visually stimulating effect. Trilingual magazines are a challenge of their own! And so, in order not to prioritize any language used, text was placed according to its reading direction using the same translated content. Page numbers were also placed according to text orientation both in latin and arabic. This facilitates the interaction with the magazine, encouraging the reader to explore it from different perspectives as well as equalizes all languages and makes it easier for the reader to choose his text orientation according to preferred language. Although the layout looks slightly disturbing due to including 3 languages on the same page, the reader will find it extremely comfortable to read according to his preferred language. If the reader reads Arabic, for instance, his eyes will automatically follow its orientation and therefore rotate the magazine. The images were also places in different directions according to text orientation concept. Again, this encourages interaction with the magazine. The layout was designed in a balaned way with use of consistent negative space equal to text and images. Although a grid was followed, the visual style of the magazine was created to be “randomly organized”. This was based on experimenting with breaking the grid, tilting images and text and overlapping text with images. 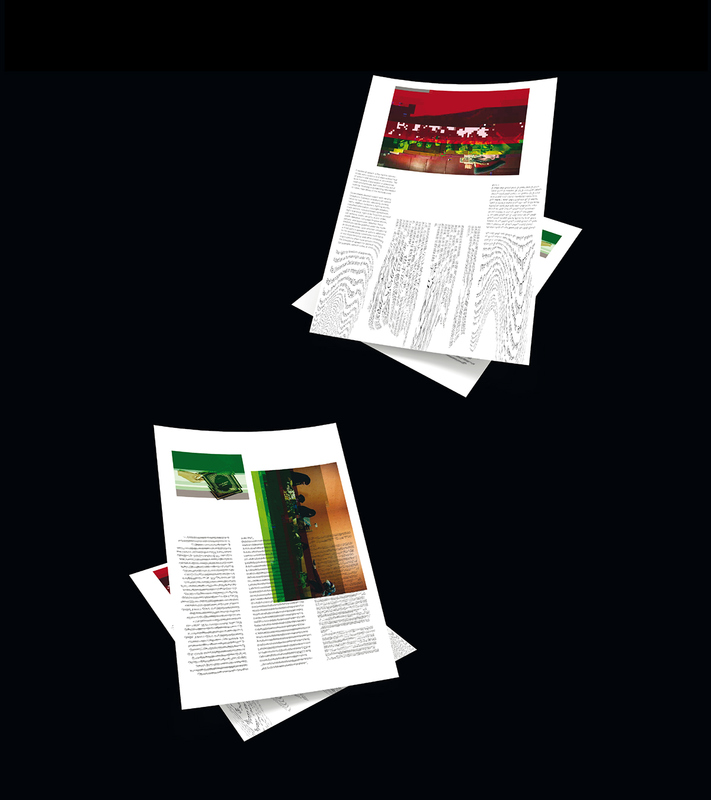 Finally, two glitched images and distorted text A4 posters were added to the magazine as collectables for the reader. This is a re-design of an existing issue of Colors magazine. The issue (#65), titled "Freedom of Speech", celebrates freedom of expression and words, helping to mark the 20th anniversary of the organization Reporters Sans Frontières. I do not claim to own Colors Magazine, or its content in any way. However, I claim full ownership of the design and layout created. 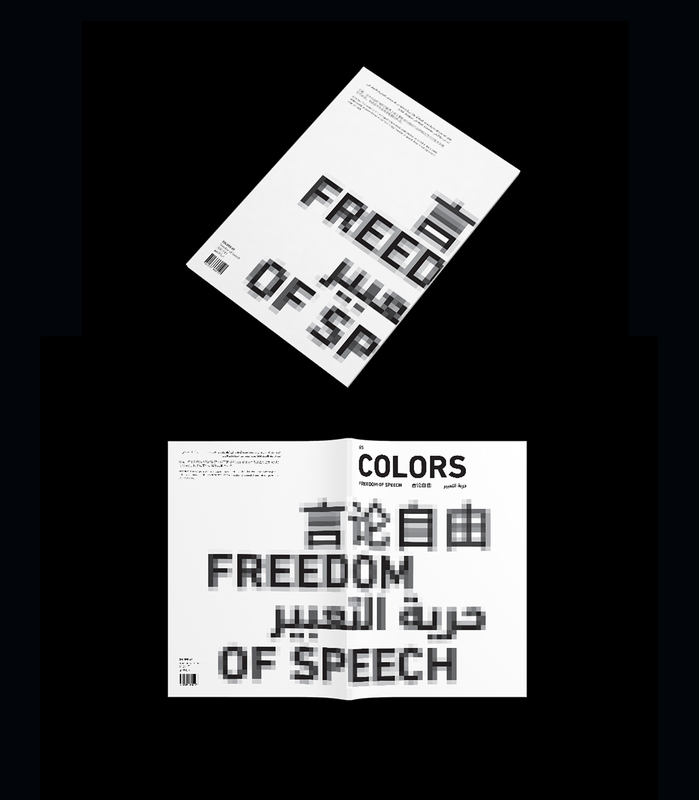 A trilingual re-design of Colors Magazine's 65th issue "Freedom of Speech". This design explores languages, breaking grids and conceptual editorials.